Tyler’s practice consists of advising businesses and individuals on state and federal tax and business planning issues, such as business formation, risk management, corporate governance, and business succession planning. He also advises medical and health care professionals on purchasing and selling medical practices, real estate leases and purchase agreements, and employment and non-compete agreements. In addition, Tyler also practices in the area of estate planning, with an emphasis on tax-saving strategies. In this area, Tyler has significant experience assisting individuals with tax-savings oriented wills and living trusts, formation and maintenance of irrevocable trusts, and coordinating individuals’ retirement plans with their overall estate plan. Tyler also assists individuals, businesses, trusts, and estates in controversies involving the Internal Revenue Service. Tyler earned his law degree from Seattle University School of Law, where he earned the school’s President’s Scholarship for all three years. During law school, he focused on tax law, estate planning, and business law, and was president of the law school’s moot court program, advancing to a national competition, as well as being elected to the National Order of Barristers. After graduating law school, Tyler received his Master of Laws in Taxation from the University of Washington School of Law. 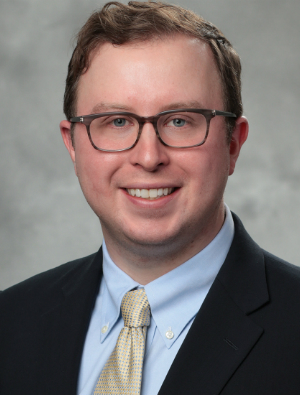 In addition to his legal practice, Tyler is an adjunct professor with Golden Gate University’s Graduate Tax Program, where he teaches Federal Gift and Estate Tax and Estate Planning courses, and has coached the University of Washington School of Law’s National Tax Moot Court Team. Prior to joining Helsell Fetterman, Tyler was an associate at the firm of LeSourd & Patten, P.S.